With regards to the UK situation and the Italian banks, JPY is supported against USD. Considering the long term chart, the USDJPY has been falling down the descendant channel. The support lies at 100.310 with resistance at 101.470 which both lines are below the weekly pivot point at 102.410. The EMA of 10 is moving with bearish bias along with the EMA of 75 and 200. 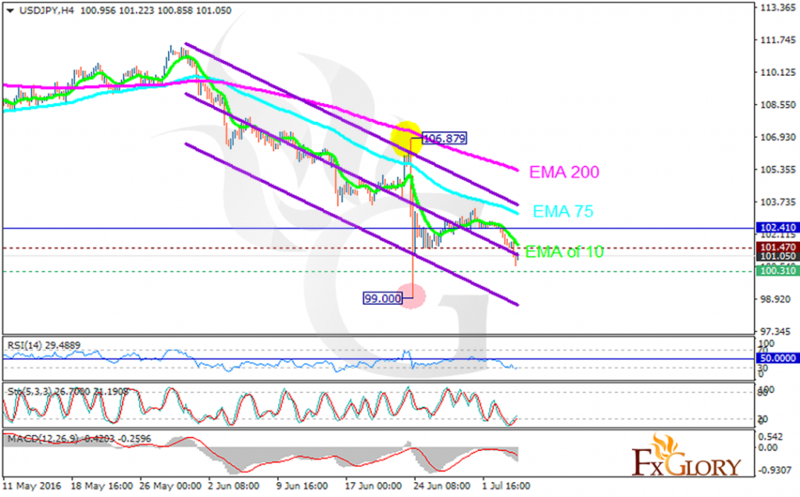 The RSI is in oversold area, the MACD indicator is in negative territory and the Stochastic is showing upward momentum. The pair is not going to go lower than 100.30 but after that it is going to rebound to higher ranges.